Flowers are inevitable part of any ceremony, especially weddings. Nowadays, people organize destination weddings or get married in their home towns, so some guests might not be able to attend the joyful occasion due to work or family obligations and travel distance. Is sending flowers as a wedding gift a good idea if you somehow cannot attend the event? In general, the answer is positive. However, we’ll share some tips on sending flowers to newlyweds to help you in doing that properly. Think about the couple. Are they traditional? Are they from Germany, Alaska or South Africa? In US, you shouldn’t send flowers to the church, because many people do it for the funerals, so your gift might not be accepted well. What about banquet or wedding reception? In the US, this can also be tricky, since most brides carefully choose their wedding theme and flowers, so your bouquet might not be a perfect match. Instead of that, send flowers before the big day to their home. But, if the newlyweds leave for their honeymoon just after the wedding, send them flowers to their hotel and make their trip even more delightful. If you are not sure about the hotel they are staying in, check when they are back home and send them welcoming flowers. This will send the message: the honeymoon may be over, but your happy days aren’t. When it comes to the arrangement, almost any flowers are suitable for wedding gifts, except the funeral flowers. For example, a nice birthday arrangement of flowers with balloons, congratulation flowers or roses (in any color) are suitable. Several weeks before the event, you should contact florists in order to arrange the delivery of wedding flowers. 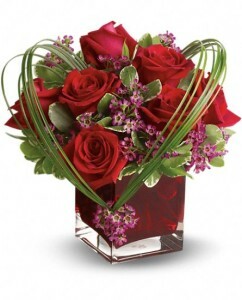 However, call the florist several days prior to the event to make sure your wedding gift will be delivered. Unforeseen reasons can always appear, but you will still have time to contact another vendor to deliver your gift to the couple. Thanks to the internet, nowadays it’s easier to send flowers anywhere around the globe. If you want to send it to another country, it’s better to look for a local florist – it’s cheaper and the flowers will be fresher. If the wedding is taking place in India, check out a local flower delivery service, such as A1CityFlowers.in. Also, make sure that your florist can deliver the flowers on Saturday or Sunday, since some of them are closed then. *This article has been done with the help of the flower delivery service from India – A1CityFlowers.